Today my blog completes one year, thank you all of you for supporting Rasoi Recipe. Here is something sweet and quick for all my lovely readers. Today’s recipe is ‘Milk Powder Coconut Rolls’. It is quick and no heat/gas recipe. If you are a coconut mithai (dessert/sweet) lover just like me, do try it. Today’s recipe is a very easy and quick version of bread pakora. 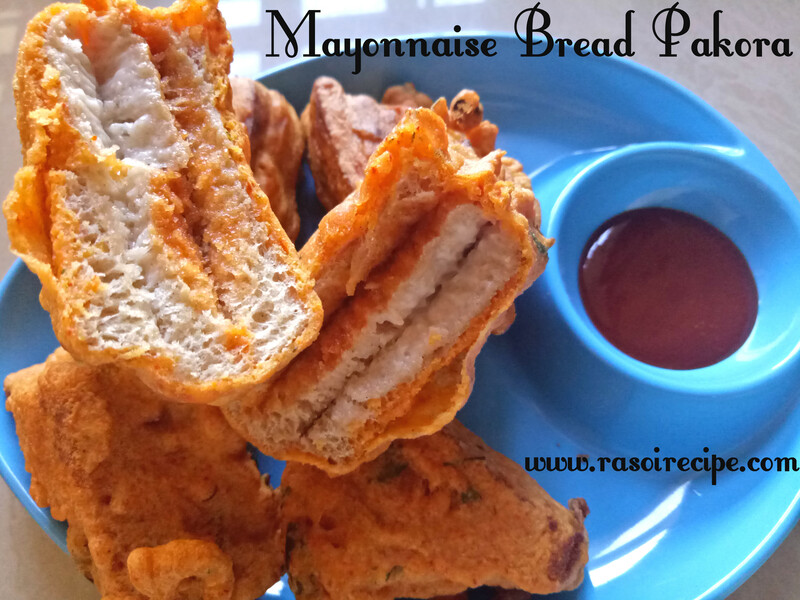 ‘Mayonnaise Bread Pakora’ is a bread recipe in which a sandwich of three bread slices is prepared, one layer of mayonnaise and second of ketchup. This recipe tastes delicious when served hot with tea or coffee. Lobia masala is one of the famous punjabi recipe. It is also known as chawla or chawli in hindi, english name for this protein rich lentil is black-eyed beans or goat pea. You can serve this recipe with hot chapati or plain paratha, if prepared with gravy it goes well with plain rice also.